I’m a first generation college student, meaning I am the only one in my immediate family (and in my situation, most of my extended family as well) to have gone to college and get a degree. Thus, I’m also the only one in my family who is in law school and (pending passing of the bar) will be a lawyer. As a first gen in her 2L year, I have learned some of the challenges and benefits of being a first gen in law school and how to work it to my advantage. Here is some of my overall advice for first generation law students! Obviously, if you’re a first gen, you don’t have any lawyers in your family. While this may not mean you don’t know any lawyers (like me coming into law school), you don’t have the benefit of the ease of access and communication to such a knowledgeable source. For me, I had NO clue what law school was like and how to prepare. I had to search for answers (which actually led me to the Girl’s Guide) and do a lot of extra work to feel ready for law school. Heck, at first, I didn’t know what the process of getting into law school was, let alone when to apply or how. That’s the challenge. Unfortunately, whether you are first gen for just law school or first gen for college in general, there is a knowledge/readiness gap. If your family didn’t go to college, you don’t know what to expect. Thus, you have to try to close this info gap by searching for answers. Well, I’m not sure how deeply I need to go into this since you’re already here! We are blessed to live in an era where there is so much knowledge and information that is very accessible for most people. The internet is a wonderful invention and most people have either personal access at home or can go to a public library or school for access. As a first-gen, you have a challenge, as discussed. However that does not mean you have to give in to the challenges and difficulties that present themselves! 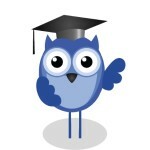 Know where you can get information to answer questions or even to help you think of what questions you have. The more you know, the more prepared you will feel. Knowledge is power, and you have to own this! Yes, part of the challenge is that first gens have to work hard (sometimes more than their peers) to be successful. However, there is an art to working hard and working smart. There may be times that you don’t understand something and have to take that extra step to fully comprehend it. However, this can work to your advantage! You will understand the process and the concept that you did not get before. Also, these hard-working characteristics are some of the best qualities of first gens!! Working hard is one of the main responsibilities of a lawyer and, when you go to interview with a firm, they will recognize that you are willing to work for success and do whatever you can to get there. In law school, networking is everything. Sometimes the difference between getting the job or not is about who you know. That’s where mentors come in. You need to find your people, your community. However, they do more than just make useful connections. They are also a valuable source of information, knowledge, and of course, support. Finding people who have gone through similar experiences already will assist you in getting through the challenges of law school and being a first gen. You will gain ample amounts of useful advice to help you be successful. Mentors are VERY valuable to have. One of my greatest fears in life is not being successful. Before starting law school, I was anxious that I wouldn’t succeed, wouldn’t get a summer job, and would never be an attorney, successful or not. However, my attitude has transformed so much since day 1 of school. I know I can be successful, and I have been. I have an excellent job at a firm I love, I have gained numerous opportunities to learn more and be successful, and I have several friends and mentors who I rely on for support and encouragement. From one first gen to another, know that you can do it. Yes, sometimes it will seem unfair that you have to work harder. Yes, it may be frustrating when you do 10 times the work or take on more opportunities. However, this just makes you a stronger law student and attorney. So be confident in yourself! You CAN and WILL be successful! Wow! This really spoke to me as a first gen college student in the process of applying for law school right now. My biggest fear has always been not succeeding. I was wondering if I can write a diversity statement about being a first gen student, and how would that generally be organized? Like, what types of things do the admissions officers not want to hear and what things about first gen students are good to hear? Also Shirlene, what resources have you found in law school that has helped out? Yes, you could definitely write about this. You want to keep it positive and focus on what you’ve learned from your experiences and what type of perspective that gives you that may be different from other potential students. Best of luck! Thank you! I have also been listening to the Podcast, very helpful for First Gen students, who would otherwise have no familial connections to what life is really like in your 1L. Congratulations on taking the rewarding journey of going to law school! That’s a tough question because there are so many resources that have helped in different ways. 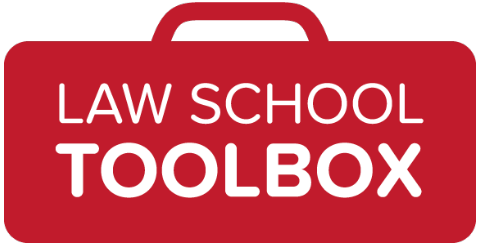 This website and the Law School Toolbox really helped me in my prep for law school and getting adjusted to the craziness of law school classes/life. There are also numerous resources at the school and all the professors and administrators (at my law school at least) are willing to help where they can. There is also a First Generation Professionals group at my law school. I have also found support in my organizations (like the Women’s Law Caucus) and mentoring programs that have paired me with upperclassmen and attorneys in my area. 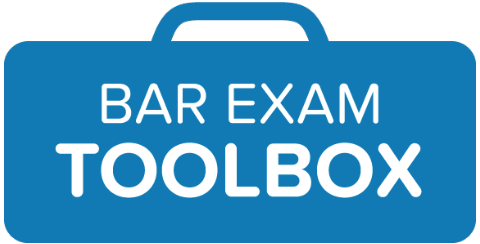 In my opinion, the best way to prepare and succeed in law school is to inform yourself (and keep informing) and find help when you need it. Best of luck in your endeavors, if you have specific questions or concerns, I would love to help where I can! Thank you so much! As I commented on Alison’s post, I’ve been listening to the podcast, which has been very helpful! Talking to some friends that are also applying and researching the schools I’m applying for has been helpful as well. As I’ve been touring different schools, I’ve been trying to sit-in on classes to gain more exposure. I’ll be applying for the 2019 school cycle, so I hope to keep you both updated. Thank you for the blog and these resources! I’ve been passing them on to some other women my age that are applying.